Clearprint 1000H 16 lb. 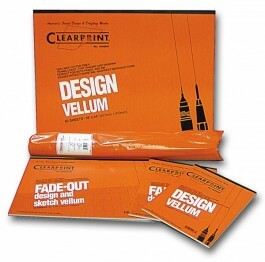 Vellum - GS Direct, Inc.
Clearprint 1000H vellum is a 16 lb. translucent 100% cotton media designed to give you a top quality drawing surface at a reasonable price. Excellent product for manual drafting. This 100% new cotton fiber media is transparentized without solvents to produce the proper translucency, as well as the legendary Clearprint archival quality, strength, erasability, no ghosting, and redraw characteristics. Good for pencil or ink. Don't see the size your looking for? If they make it we can order it for you! Call us at 1-800-234-3729 for availability and pricing.